Domestic conservation and environmentalism efforts go hand-in-hand with our counter-poaching activities. One of the key elements of this is working with youth, providing them opportunities to develop into future leaders. We provide support to the youth outreach programs hosted at Oak Hill, MD as a program under the Wings over America and partnership with Earth Conservation Corps (ECC). HOPE assists in providing troubled youth with awareness of the environment, conservation efforts, global eco-friendly activities, and the counter poaching efforts in Africa and abroad. Through the Master Falcon and Master Raptor programs headed by Mr. Robert (Bob) Nixon / Rodney Stotts, HOPE provides information briefings on the conservation efforts in Africa. We have a Youth Involvement Program in development which will provide graduates within the Capital Guardian/Youth Challenge Academy the opportunity for volunteer work in Africa. 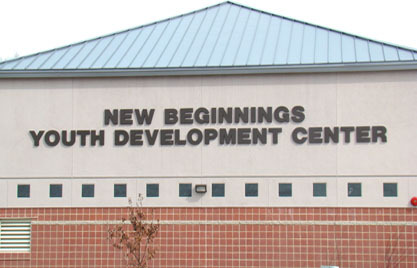 We also work closely with the DC Metro police, creating leadership and other self-enabling programs for the troubled youth at the New Beginnings Youth Development Center. We are currently seeking contributors to assist us in the creation of an obstacle and confidence course for leadership and team building as well as awareness training by DC Metro police and US Veterans. If possible we desire to open the Youth Involvement Program to the New Beginnings youth as well. Our goal is to bring in the community in order to team for success and provide options to the youth in these two programs that would never had been made available otherwise. Our holistic methodology applied toward countering illegal poaching delivers an enterprise perspective that captures all aspects of activities influencing or involved in the illegal ivory trade. Our partners and team members specialize in the application of highly collaborated, multi-functioning, and a specifically tailored suite of capabilities that enhance, augment, and enable the Host Nation’s Anti-Poaching efforts. HOPE delivers a customized solution that integrates enabling support functions, management, and sustainment to a diverse customer base. Our experience is derived from various endeavors throughout the world and our management team brings together a well honed base of subject matter expertise in the areas of special operations, conservation, humanitarian efforts, conflict resolution, law enforcement, medical, IT, critical infrastructure, veterinarian, youth outreach programs, logistics, philanthropy, international scouting, and former members of international intelligence organizations.